On any given Sunday in Harlem, visitors might be surprised to see who is attending black churches. Tourists are lining up to worship in Harlem, where black churches are becoming big, inspirational attractions for white European travelers. It's a growing trend, and a cultural experience that's uniquely American. CNN's Jason Carroll reports. Protestors stand outside of the Irish Parliament building, holding pictures of Savita Halappanavar. The Irish Times reports Halappanavar was told “this is a Catholic country” when staff at University Hospital Galway denied her a pregnancy termination as she miscarried. Halappanavar died after the three-day miscarriage. Doctors refused to grant her an abortion because the fetus still had a heartbeat. A potentially landmark high court case begins today, which could halt what campaigners call the "back-door" spread of new state religious schools through England, approved by councils without residents being given a choice of alternative. Six women were detained by Jerusalem police for wearing prayer shawls as more than 100 women gathered for the monthly Women of the Wall service at the Western Wall. Western Wall regulations dictate that women cannot wear talitot, or prayer shawls, as it contravenes the “local custom” as determined by the Wall’s chief rabbi. In 2003, Israel's Supreme Court upheld a government ban on women wearing tefillin or talitot, or reading from a Torah scroll at the Western Wall. Murgan Salem al-Gohary, an Egyptian jihadist who claims he has links to the Taliban, has called for the “destruction of the Sphinx and the Giza Pyramids in Egypt." Al-Gohary, an Islamist leader and jihadist sentenced twice under President Hosni Mubarak for advocating violence, urged Muslims to "destroy the idols" in Egypt - specifically the Giza Pyramids and the Great Sphinx - during a television interview on Saturday on Egypt's Dream TV, according to Al Arabiya News. Reviving a long-dead language might sound like a tall order for a church that's already weakened by widespread secularization and the fallout from decades of a painful child abuse scandal. 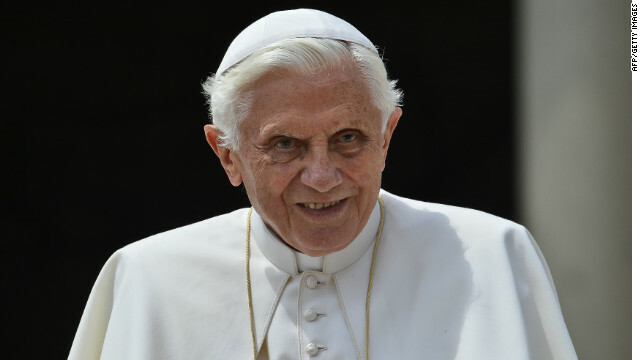 But Pope Benedict XVI seems convinced that revitalizing the study and use of Latin among priests and seminarians is a necessary step for the church's future. Ralph Vaughan Williams is said to have carried a copy of “The Pilgrim’s Progress” by John Bunyan with him when he served in World War I. Before that, he conceived the idea of making an opera out of this 17th-century Christian allegory about a man’s journey from the “City of Destruction,” to the “Celestial City,” and decades later he brought the idea to fruition for a 1951 premiere at the Royal Opera House, Covent Garden, when he was nearly 80. - Pope Benedict XVI during his weekly general audience on Nov. 14. 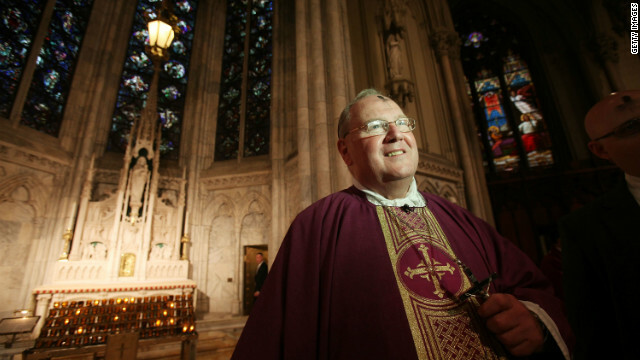 Archbishop Timothy Dolan sounded a nuanced tone on politics at a bishops meeting. Emboldened by the re-election of President Barack Obama, a cadre of liberal Catholic activists and groups is waging a campaign alleging that America's Catholic bishops are out of touch with Catholic laypeople. The Catholic bishops, who are in Baltimore this week for a quarterly meeting, spoke out against the Obama administration during the election cycle over what they said were White House violations of religious freedom. 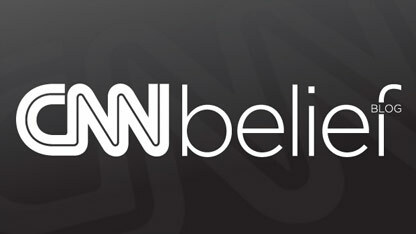 CNN Management - Knowing what you know must scare the crap out of some of you - be strong and brave - you are doing good. "He who makes room the elderly makes room for life! Whoever receives the elderly welcomes life!" All living things are atheists except humans. Just like yesterday, it is another beautiful day without god(s). And this colder weather makes pumpkin pie taste better. Well, if you are going to be all salty, then you ain't getting a slice. Hey, how well did your nope work out for Obama not getting re-elected? I recall you used your fancy one word post to imply Rmoney would win. Are not one's thoughts nothing more than the dreaminess state of undulating psychological momentums in preparedness ever issuing forth a verbalized conciliatory frankness from mental ovulations bemusing? Are not one's thoughts nothing more than the semi-lucid dreaminess state of angled and undulating psychological momentums in leavened sultry preparedness ever issuing forth a psuedo-verbalized conciliatory frankness from mental ovulations bemusing? You seem to be right, no Mormons around. Cockroaches. Religious people = book worshippers. Idolaters of ancient stories. If god exists he could do a lot better than a barbaric book of myths. Apparently you all disagree, you believe the bible is the best an all powerful being could do. Though the world will ever turn people will ever become hardened and stall out of their storied aptness to unendingly fall abruptly into their cunningless crevices each and every time they dare rise up singularly and while pluralisms needs are to be counted out and upon, only the sanctioned diplomacies of tactile pluralities are ever to be heard. The wasted fields of singular-isms decides nothing. No one individual can barter against the flocked masses, those jealous mobs of imbitterment. We are never alone but are always a oneness never to be sought via the constraining giants' embolisms. Waivering amid the social waters of servile tenaciousness leaves one and many with an abundant measuring of abnormalized emotional isms. The rising above the based rooted philanderers is for commonality's betterments' sake. I am, therefore you be and likewise all are even though we meaningfully tender to the analogous fields aplenty. Life does end wherein the living will always begin and willingly linger without the comparative relations set forth for all to waylay their erroneous deniabilities thru confrontationalistic metaphors. I am therewith one is while you are the maybe upon which some do stand. Wherefor art thou when the mitigants tenure from one variant to be towards the other variation? Is life really to be found out as being but a dreamt conditioniing therefore raising the unconditioned lackluster of neanderthalled meanials upon subsets' rationalisms? Where are the allotments to be kindled in the aspirations of supping? Can someone be this anyone from which all can raise to oneness their claimings? Where are people when they try to deny the opportunistic relevance in the servitude fields? Is Life the abundant ending giving rises toward the treasured living? Who really knows what? May the Lord of Hosts, the Redeemer of the lost find an issue to be reckoned with when the dustiness does settle upon the lands. Raise one's wineglass in retribution for the Heavenly Hosts that beguiles one and all in subversion tactiles of unmentionable clemencies never to be denied as falsehooded factions upon the masses of waivering mobs. Abstractions tend to detract from the commoners' euphoricisms of the superlatives bequeathed within the ruthless undulations nomenclatured from popularized deniers of said God idols wherein the tactile natural ism is denutured and placidly placed upon rudimentary placards. We all are God's buildings, the structures of plausible acclimations meant to harbor all God's Sons and Daughters in laments to gain in the accrual. 1Corinthians 3:9 "For we are labourers together with God: ye are God's husbandry, [ye are] God's building"
Yaeh, those are the guys that make the leather for Chrysler!! Ricardo Montalban used to shill for them!! Ah, thank you, Apple Bush. Something gets lost with my phone's translation...sounds much better your way. Now say "Crysler Cordoba", please? Everone asses, coreeenthian leathore? Of course, why note the bes? Eeets the sum weeth a new Chrysler Cordoba. *Applause*! You took me back! Well done!! There's no such thing as Corinthian leather. The name was made up for that commercial. Athy, I know, they got their leather from Newark, but hey, it sounded GREAT, didn't it? Nuts! Another belief shot to hell. Tragedy today in cyper-space. The man known only as "Hindu Hater Hindo Bot" was found dead today, an apparent suicide. LOL! His head will explode.